Kunstjuf on Facebook – I create projects and workshops for children and for adults (amateurs and artists) on demand. Always with a focus on the experiment, trying to inspire and help the participants, no matter what level, to find their ways to express themselves. In march 2015 I earned a degree in teaching and co-teaching visual arts in the field of Special Education. From that time I also do art projects with children aged 4 – 12 with (severe) learning / psychological difficulties. Techniques include photography, video art, animation (stop motion), collage, painting, print making, building (3D), writing (poetry and short stories). The ‘space’ project was worked on throughout the whole school (SBO Het Spectrum Amsterdam, a school for children who need special attention). I designed an art project in four lessons for the two youngest classes, in which the children explored different forms of expression: drawing big planets, in teams, with wax crayons (lesson 1), creating space creatures with modelling clay, googly eyes and pipe cleaners (lesson 2), making space aircrafts out of plastic trash, tape and more (lesson 3) and filming (lesson 4). I did the editing and added the sound effects. The project was commissioned by De Rode Loper op School. See more photos in the album on my Facebook page. 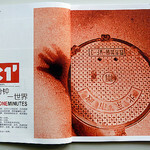 A three week experimenting with art, resulting in a book for each child to take home. Age 4-10, SBO Het Spectrum Amsterdam, a school for children who need special attention, commissioned by De Rode Loper op School. See the album on the Facebook page. 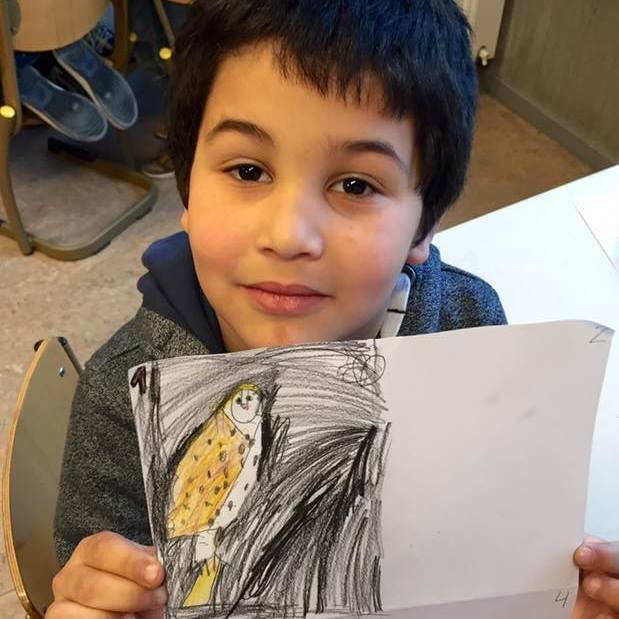 Magical Creations – A five week course for the three youngest classes, from four to approximately ten years old, at SBO Het Spectrum Amsterdam, a school for children who need special attention, commissioned by De Rode Loper op School. The idea was to create art through experiment. Photos of the different works in process as well as of the final results are in this album on the Facebook page. 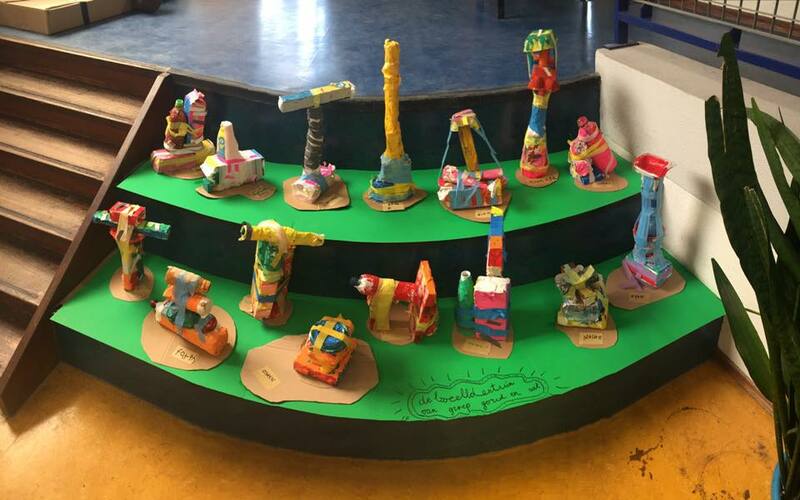 Sculpture Garden – Same school, same commissioner. This time the whole school worked on this theme. I worked with the youngest kids, age four to eight. Have a look at all the pictures here. The project was inspired by the Memphis art movement as well as on recycle art. 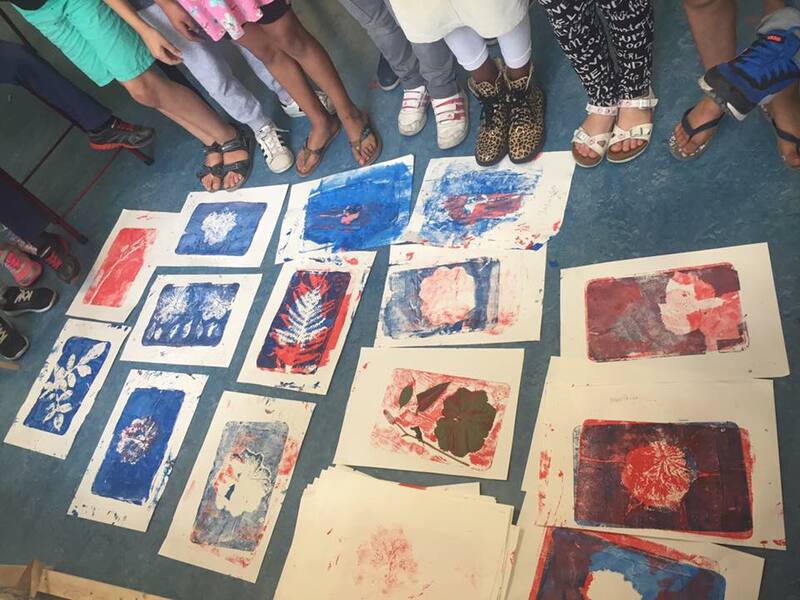 50 years of Bijlmer – An after school collage art project at the Islamic As Soeffah school in Amsterdam Zuidoost, commissioned by CBK Zuidoost. Children aged five to nine. Each week I introduced the kids to a new subject as wel as another collage technique. This resulted in a huge collage art work, 14.5 meters of length and 50 cms of height. The art work was part of an official exhibition. 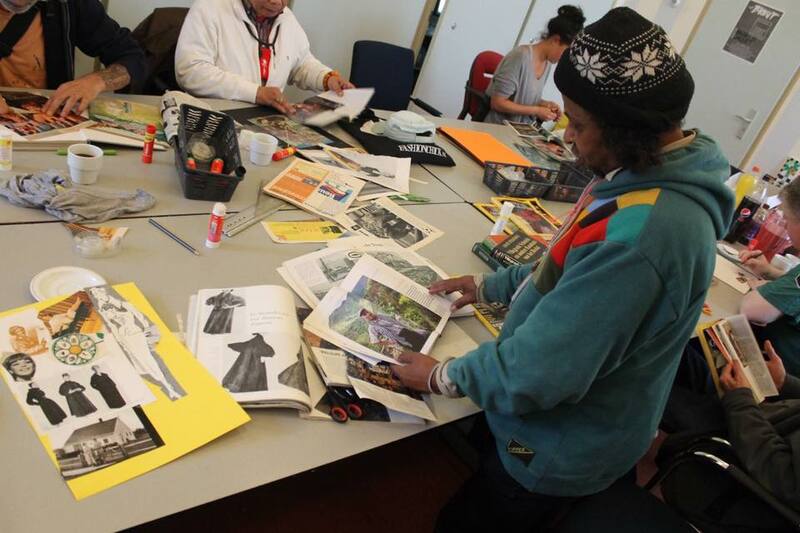 Festival for Loneliness of Everyone – Collage workshop with the artists of artBRUUT (outsider art professionals, adults) in Amsterdam, commissioned by Voor Eenzaamheid. With a final exhibition in Buurtwerkplaats Noorderhof. Many more projects can be found on my Kunstjuf Facebook page. Based on my book Stadsbeesten – Urban Animals. Primary schools and the Day A Week School. Amsterdam. Children aged 4-12. From 2010. Boekids literary festival for the youth. Poetry writing to my urban animal photos. Children aged 6-14. Rotterdam and The Hague 2011. Ateliers photographie et poésie (photography and poetry). École Primaire René Rondreux, Durtal, France, 2012. Urban Animals in MixMaxBrasil – Installation in the new exhibition MixMaxBrasil in Tropenmuseum Junior Amsterdam, which invites the children to visit the exhibition with ‘artist eyes’ and go looking for ‘urban animals’ like the ones in my book ‘Stadsbeesten – Urban Animals’. Amsterdam 2012- 2014. Tembe Art School, Moengo, Surinam. Photography workshops in primary and secondary schools in the city and the surrouncing villages, 2010. Artspace Nieuwe Vide. Photography workshops for children by photographer Max Linsen and me, part of our project for the Coulisse Vise Versa festival. Haarlem 2011. Noortjes Kerstcircus (christmas circus). Children (8-12) worked in small groups on: script, story board, background and props. Then recorded their stop motion movies. Day A Week School, Amsterdam 2012. Workshops with children aged 8-10 about seeing the world around you in a different, sensitive way, based on a collection of works by different artists (including my urban animals and my shadow oneminutes). Herrekijker was created by Carolien Euser (1964-2013) and Madelinde Hageman. More info: www.herrekijker.nl. Many different primary schools, children aged 8-10, with Carolien Euser and or Madelinde Hageman. Amsterdam and Delft 2011-2013. Parent Participation Program at ‘Basisschool De Kraal’, women aged 25 and up. Amsterdam 2013. Video workshop: ‘Old Story, New Me’ (advanced). Stranger Festival. Facilitators: Maartje Jaquet, Nadine Hottenrott and Emile Zile. This “mash-up” workshop used old copyrighted news footage that was mixed with new created content – and thereby placing history in a more current and personal context. The participants of this workshop were young people (18+) from different parts of Europe: Finland, Servia, Rumania, Hungary, Slovenia and The Netherlands. Amsterdam 2010. Video clip and rap. De Margrietlaan. Adolescent boys (16 – 20) made a video under my guidance. They live in a residential group, assisted in their lives by supervising counselors. Each of them did what he was good at. Graphics, photography, played guitar, wrote the texts and rapped. The rap is about one of the boys’ life. Helmond 2012. Paramaribo City Oneminutes at AHKCO & Nola Hatterman Art Academy. Art students and professional artists, Paramaribo, Surinam, 2009. Beijing City Oneminutes art students of the School of New Media Art and Design, Bei Hang University, China 2009. Festival Caleidoscoop, Kunstcafé Oosterwolde 2012.